You know you want this! 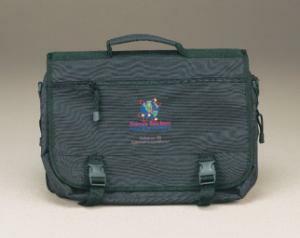 Black expander attache briefcase with zippered main compartment and full accessory organizer. Made of polyester and PVC. Features loads of space for all your stuff - books, papers, lunch, whatever. And of course there's the highly regarded Science Teachers Make A World of Difference atomic globe logo for that extra dash of class.